I am branching out in my social media presence! 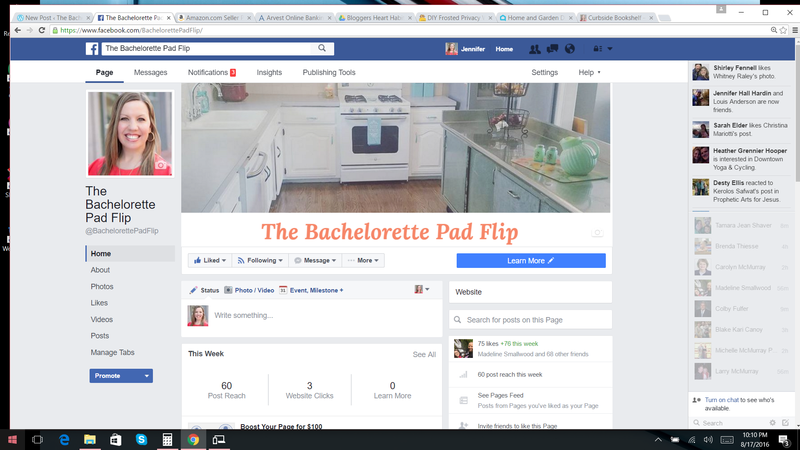 I have created a Facebook page for my blog, The Bachelorette Pad Flip. I hope you’ll take a second and like the page. I’m really excited to use that forum to share snip-its of the house-flipping adventures–shopping for hardware, repairing major leaks, finished products, etc. It’s also a great forum for me to further connect with my readers! I look forward to seeing you over there!